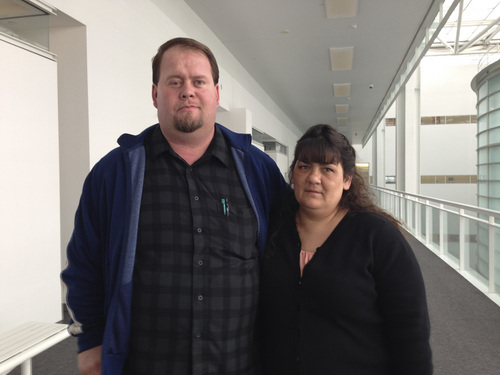 Courts • Testimony continues in civil rights trial against Colorado City, Hildale. Jim Dalrymple II | The Salt Lake Tribune Ron and Jinjer Cooke have filed a civil rights lawsuit against Colorado City and Hildale, saying they were discriminated against because they aren't FLDS Taylor Bistline occupys the doorway of a disputed home in an effort to prevent his brother, Patrick Pipkin, (not pictured) from entering while their brother Wendell Pipkin and Colorado City Police Officer Helaman Barlow await the arrival of Attorney Jeff Sheilds on Thursday morning. 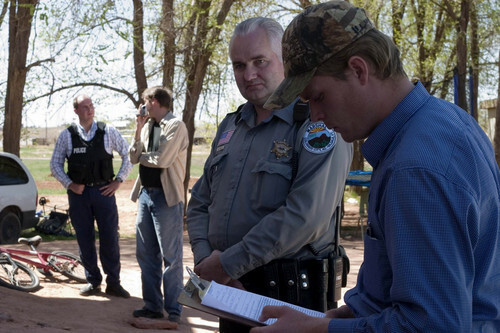 Patrick Pipkin reviews a police report concerning the FLDS's attempted eviction of Pipkin from his home, before filing it with Officer Helaman Barlow of the Colorado City Police Department while Daniel Chatwin talks to Officer Preston Barlow in the background. 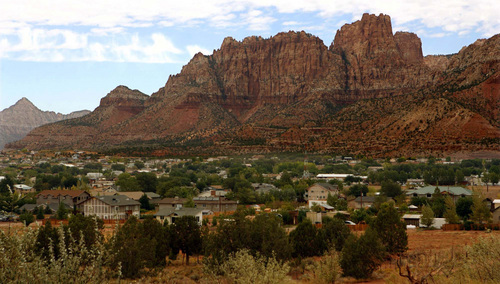 The twin towns of Colorado City, Arizona and Hildale, Utah, where many followers of Warren Jeffs' FLDS church reside. Trent Nelson | Tribune file photo Jim Dalrymple II | The Salt Lake Tribune Ron and Jinjer Cooke have filed a civil rights lawsuit against Colorado City and Hildale, saying they were discriminated against because they aren't FLDS Jim Dalrymple || | The Salt Lake Tribune The Sandra Day O'Connor Courthouse, where a trial is beginning that focuses on whether Colorado City, Ariz., and Hildale, Utah, discriminated against a family because they are not members of The Fundamentalist Church of Jesus Christ of Latter-Day Saints. Phoenix • The police in a polygamous town are either consummate professionals or bumbling pawns. They&apos;re either impartial arbiters or purveyors of cronyism. They&apos;re either very good, or they&apos;re very bad. 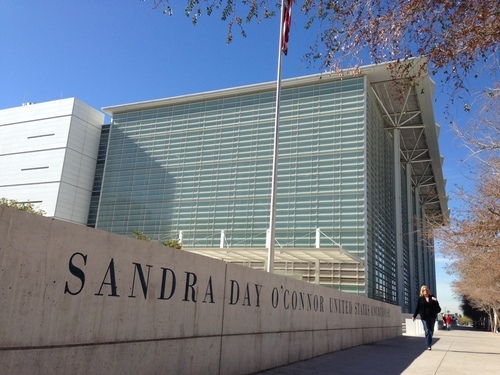 Those vastly different versions of the local law enforcement, or "marshals," in Short Creek came out during testimony Tuesday in Phoenix&apos;s U.S. District Court. The testimony was part of a civil rights trial involving Ronald and Jinjer Cooke, who moved to the mostly FLDS community  which includes Hildale, Utah, and Colorado City, Ariz.  in 2008. The Cookes and their attorneys believe the local governments discriminated against the family because they were not part of the dominate religion and were not polygamists. The Cookes have specifically alleged the cities, in cahoots with the FLDS Church, denied them water and other utilities. The most significant testimony of the day came from Helaman Barlow, who heads up the marshal&apos;s office that serves both towns. During questioning from Jeff Matura, an attorney representing Colorado City, Barlow insisted that he never discriminated against the Cookes and wouldn&apos;t have tolerated that kind of behavior from his deputies. Barlow also said that he used to be a member of The Fundamentalist Church of Jesus Christ of Latter-Day Saints, but left nearly two years ago without suffering any negative consequences at work. The responses were supposed to make a point that has been often repeated by Matura and Hildale attorney Blake Hamilton during the trial: though the FLDS Church is a force in the community, the city government and its employees have acted independently and properly. Matura and Hamilton believe that the fault instead lies with the Cookes themselves, who the attorneys say have been intentionally fighting city policy from the get-go. To make that point, Matura zeroed in on a few key moments during Barlow&apos;s testimony. The most important happened in 2010, when an employee for a water company noticed a new pipe running from an irrigation line at the home the Cookes were renting. Barlow, as the chief of police, was called to sort out the conflict. When Barlow arrived, he spoke with the water company employee as well as Ronald Cooke&apos;s brother Seth Cooke, who "vented in an emotional tirade," according to Barlow. Jinjer Cooke filmed much of the incident and that video was shown in court Tuesday. Both sides disputed who had a right to the water, but Seth Cooke eventually admitted to hooking up the new pipe. He also drove his car over the pipe so investigators couldn&apos;t dig it up. The video shows Barlow calmly arresting Seth for interfering with the investigation, then later releasing him when he agreed to move his car. Jinjer Cooke and the family&apos;s attorneys have previously characterized the incident as an affront to the family, with city authorities digging up the Cookes&apos; yard in order to terrorize them. But Barlow&apos;s testimony cast it in a very different light; in his version the Cookes were stealing water and later obstructing a fairly routine and impartial investigation. But William Walker, the Cookes&apos; attorney, didn&apos;t buy Barlow&apos;s characterization of the police. During cross examination, he argued that Barlow only left the FLDS Church so that he could come before the jury and show that not everyone in city government is a member of the religion. Walker also asked Barlow if he ever said that FLDS leader Warren Jeffs "owns me boots, badge and britches." Barlow denied saying that, though Walker said in the past Barlow had refused to completely deny making the comment. Walker also zeroed in on a few specific incidents. Among them, he asked about a conflict in which the mayor allegedly ordered FLDS men to plow up a field that belonged to the United Effort Plan trust. The field was rented to another family, but Barlow refused to stop the mayor&apos;s people from coming in. Walker also pointed out that the only person he referred for charges after the incident was Seth Cooke, who made a comment about getting a gun. Barlow characterized the comment as a threat, though Walker called it "hyperbole" in court Tuesday. Walker&apos;s point through it all was to show that Barlow and the rest of the police force were pawns of FLDS leaders who controlled the city. Other testimony Tuesday came from Sam Johnson, a deputy in the marshal&apos;s office. Like Barlow, Johnson denied ever discriminating against the Cookes. He also said he didn&apos;t know of any mixing between FLDS security forces and the police  a major argument made by the Cookes&apos; attorneys  and that he never read a letter from the mayor to Jeffs that allegedly discusses his police appointment. The Cookes&apos; attorneys strongly questioned Johnson&apos;s testimony, suggesting that he had changed his story over time, among other things.